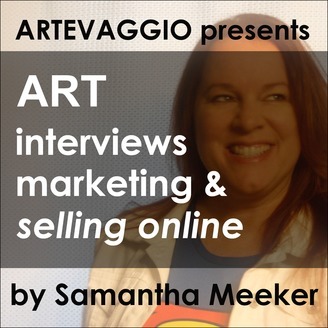 In this podcast, Samantha Meeker, the owner of Artevaggio.com, is focused on delivering artist interviews and marketing & selling your artwork online. Samantha will deliver weekly interviews and tips on how to sell your artwork online, market to galleries & other venues, tips on art competitions, tips on creating the best online website, how to sell art in social media and much more. Dana Newman is an award winning artist who attended the School of Art Institute of Chicago and in 1978 was the youngest member to be selected into the Art League of Chicago. He's had an interesting career that nurtured his love for drawing and painting wildlife. Dana currently sells his artwork through gallery representation and also sells prints of his works through an online venue. Listen to his multifaceted story of his journey and the knowledge he's gained along the way. 24 - Top 3 Ways to Share Video Now and why you should be using it to promote your art business.